There are few things worse than the two words, ‘I’m bored’, and yet during school holidays it’s what many-a-parent hears day in, day out. 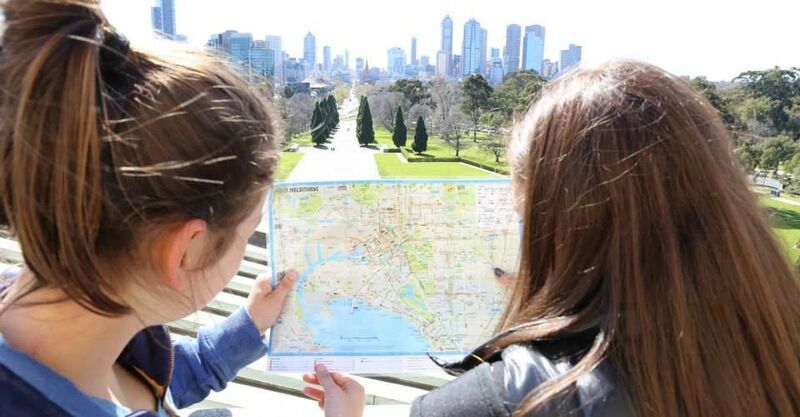 As it turns out, Melbourne has a host of incredible school holiday camps on offer, some day-long camps, some long-stays. Regardless of the length, each offers kids an opportunity to learn tonnes of new things, make some great friends, and kick boredom to the curb. Here are six of the best school holidays camps for kids in Melbourne. OutBeyond runs high value and low-cost holiday camps that make outside-care during the school holidays simple, easy, adventurous and fun. OutBeyond’s wide range of school holiday camps in Melbourne give children aged 11 to 16 years old an exciting and educational 6-day overnight camp experience. OutBeyond’s adventurous holiday camp programs were developed because their school camp leadership programs were so popular. Children are bound to make new friends, develop new skills, and have lots of fun! The organisation also run multiple overnight accredited camp locations where children can take part in more than 50+ activities. And if curious kids are ready to truly pack their bags for an adventure, the International Camps in places like New Zealand and China are an excellent goal to work towards. Students undertaking their Duke of Edinburgh International Award can attend this camp and complete their Bronze, Silver or Gold practise and qualifying journeys. Where: Melbourne, Mornington Peninsula, Phillip Island, Grampians, Great Ocean Road, New Zealand, China, Singapore, Malaysia, Fiji. For sport-crazed kids, whatever their skill level, the camps run by Melbourne Sports Camps are guaranteed to get them moving, teach them great techniques, and give them an opportunity make great friends outside of the school environment. Camps here involve three full days of coaching by experienced staff from 9am – 3pm each day. Kids receive in-depth training in their chosen sport, and also get the chance to meet big-name athletes and state players. There are multiple camp locations around Melbourne. Sports include basketball, football, cricket, hockey, netball, rugby league, rugby union, soccer and tennis. Team Holiday provides school holiday camps for kids within Melbourne and greater Victoria across the age groups of three to four years, five to 12 years, and teens. Activities vary depending upon the age group, but may includes such highlights as tennis incursions, an excursion to the movies, art and craft activities, cooking – even bubble soccer and slip n’ slides! Team Holiday camps require drop-off by 8am and pick-up by 6pm each day; all activities included in the programs are conducted by experienced and qualified instructors who hold current first aid certificates and working with children checks. From laser tag to bike riding, ice skating and camping, the Quest Melbourne School Holiday Camp is an action-packed program designed to keep kids busy and happy throughout the school holiday period. Created for children aged ten to 16 years, this camp is long-stay event, involving six days and nights in total. Three of those nights are spent in split-gender dorms, and the other three nights are spent camping along the Yarra River! This camp runs during the July school holidays and requires parents to drop kids off on a Sunday and pick them up on Friday. The cost of the camp includes all accommodation, meals, activities, equipment and 24 hours supervised care by professionally trained staff. Camp Blue runs school holiday camps for children from Prep to Year 9 and caters for all different kinds of interests and personalities – because no two children are the same. At this holiday camp, kids are encouraged to make their own decisions about what they would like to participate in, with guidance by professional staff. There are up to 20 activities in total for campers to choose from in each camp, and they are to select five specific activities each day. So at Camp Blue, kids do what they choose to do, not necessarily what everyone else is doing. Camp Blue runs in the April and July school holidays; it is a day camp and operates between the hours of 8:30am and 5pm for five days. Got little techies in your midst? This is the camp for them. Code Camp is unlike another camp around town – this one teaches your kids how to code! This is a fantastic way for computer-savvy kids to go beyond the school curriculum in this area of study– and they will meet many other kids who share their passion for gadgets! The camp runs during each Victorian school holiday period on a designated week, between the hours of 8:30 – 4pm. Where: Code Camp is held within various Melbourne school campuses, see the website for a school close to you. If you’ve got a Nadal fan on your hands, then a Melbourne Tennis Camp could just the ticket. 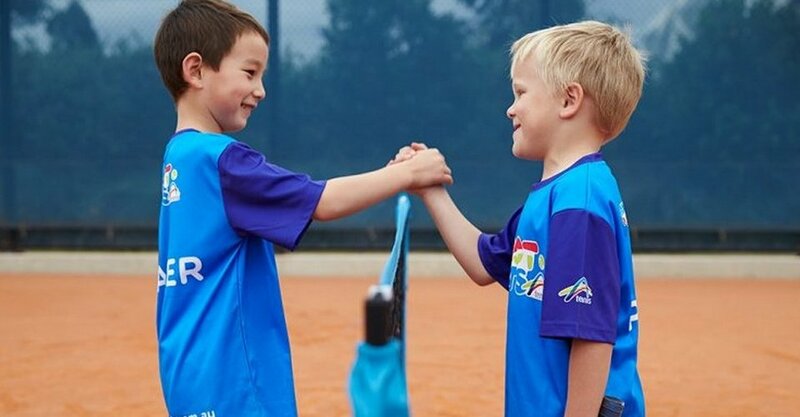 These tennis-focussed clinics run by Tennis World take place during each of the Victorian school holidays and include Junior Holiday Clinics for ages five to 12, ANZ Hot Shots Clinics for ages five to 12, and Junior Performance Camps for advanced players. Junior Holiday Clinics include an introduction to not only tennis, but other sports like soccer and football. There are loads of group activities for kids to get involved in, and there are even afternoon movie sessions to enjoy. These clinics run between 9am and 5pm during a designated week of the school holidays, for four days in total. ARTea is an art school and community space celebrating parenthood. Want to keep kids busy and happy? Check our ARTea's winter holiday program. Kids will be entertained and educated while designing and creating these July school holidays at ARTea in Port Melbourne. Help the kids reignite their creativity in a fun environment. You never know they might just create the next BIG masterpiece.